My preschooler is obsessed with frogs! We talk about frogs all day long! 🙂 So naturally, we’ve decided to start learning more about them during our home preschool time. These activities have been so fun to do together and we’ve learned a lot! 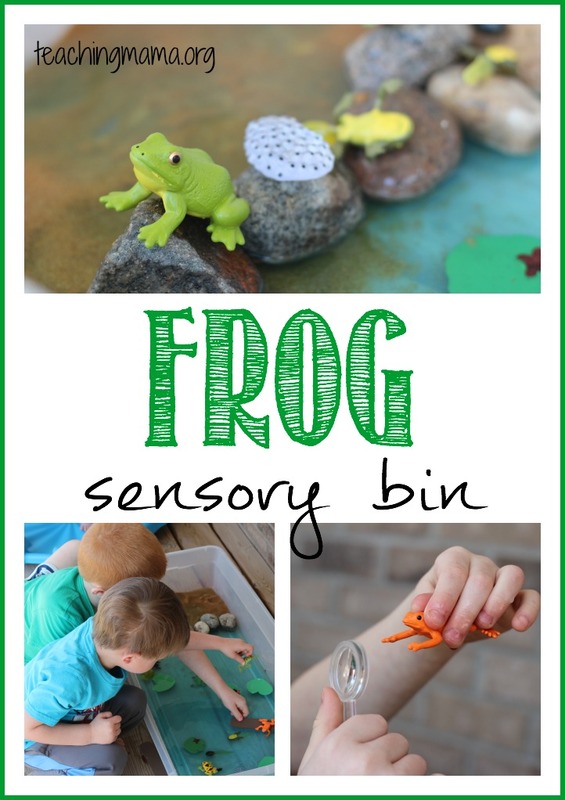 Today I’m sharing what we’ve done and some other fabulous frog activities for preschoolers. The post contains affiliate links. See my disclosure for details. 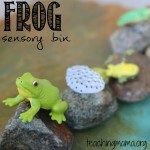 We created a sensory bin for frogs last year, that was so much fun to play with! 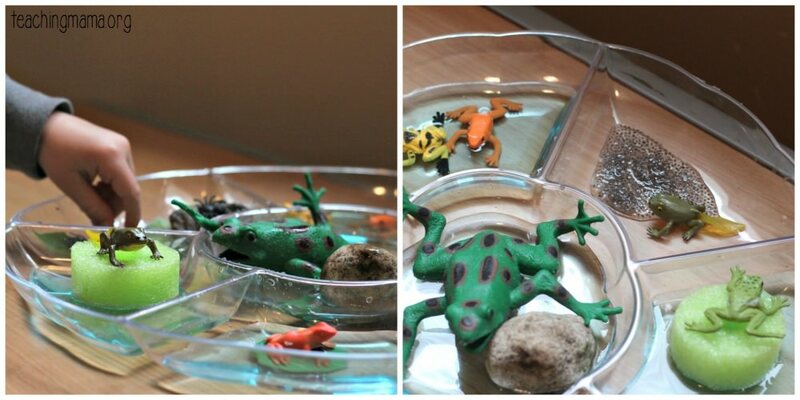 I love this frog life cycle kit to use with the bin. You can see our bin here. We also made a super cool origami frog! Well, honestly, I made it and he got to play with it and make it jump! I followed this tutorial on YouTube and it worked great! I didn’t have origami paper, so we used construction paper and it worked ok. I would have preferred origami paper though! 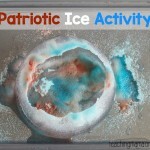 This next activity was my boys’ favorite! We did a bug catching game with frog “tongues”. To make this, we put velcro sticky tabs on the end of a party blower and more velcro tabs on plastic insects. They kids blew their blower and caught the bugs when the velcro tabs touched. 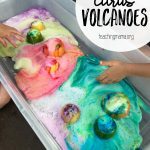 My kids seriously loved this activity! We also talked about how frogs eats lots of insects, like flies, spiders, beetles, grasshoppers, dragonflies and more! 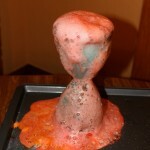 We also did a process art activity. 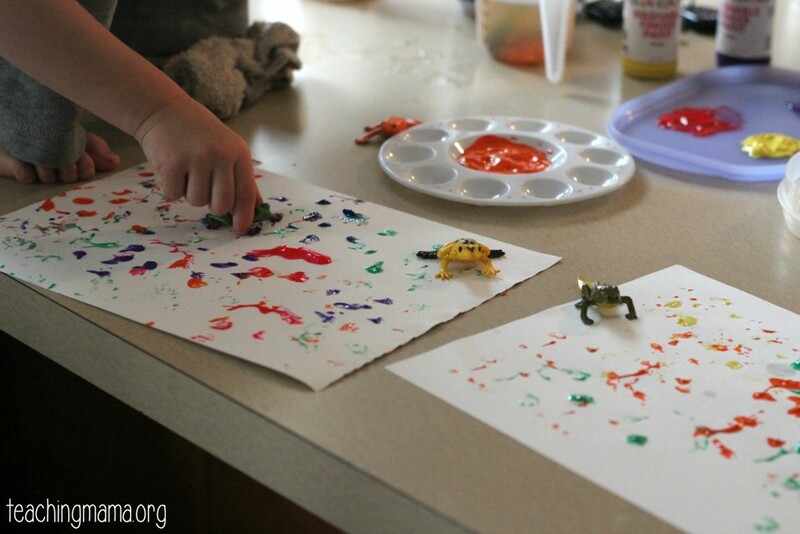 We dipped plastic frogs into paint and stamped them around paper. The goal wasn’t to make a masterpiece, but to explore art in a fun way! Wesley was so proud of his rainbow art! Why Don’t Frogs Freeze – this is such a cool demonstration!! 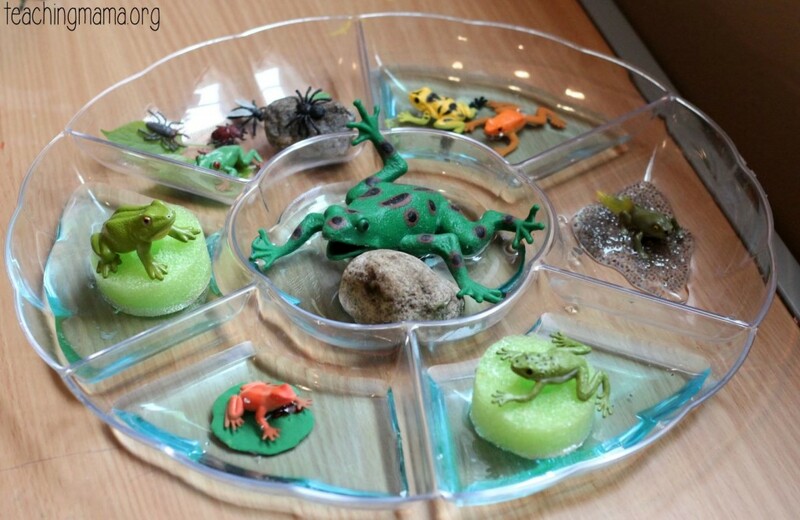 Frog Life Cycle Craft – this was a cute way to learn the life cycle! Counting Frogs on Lily Pads – a great way to practice one-to-one correspondence! Five Speckled Frogs Video – we love music! 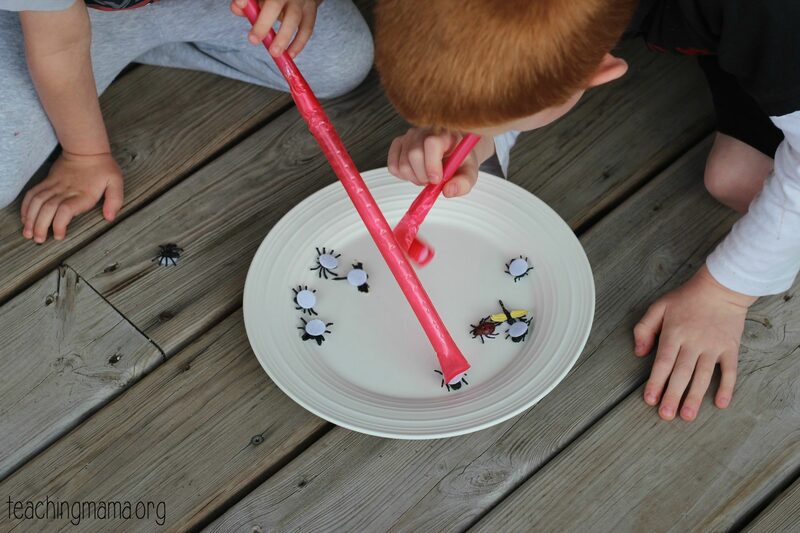 Frog Jump & Measure – a super way to practice gross motor skills. It was fun to see how far we could jump! I would LOVE to get tadpoles and watch them grow into frogs! 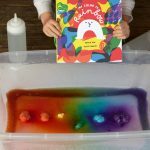 This looks like an awesome tadpole kit! We’ll keep learning about frogs and doing more activities because my little one is so interested! That’s what I love about being his teacher at home…we get to learn about topics that interest him! What other activities to do you have to add to this list? 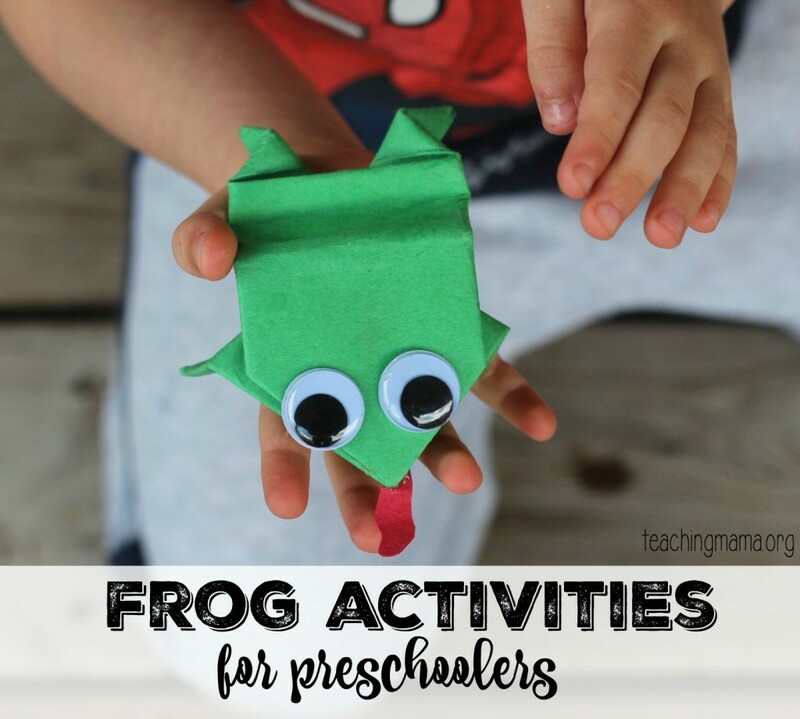 This is so cute.. i have recently taught my kids making frog with the help of paper. Seems easy to do and it looks so cute. Emily and Marrie definitely gonna love these frogs. How adorable! These ideas look fun and easy to do at home. 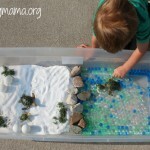 It’s really important to exercise your child’s creativity at this age, and this activity is a great way to do so! Great projects! Thanks so much for sharing! I did get frog eggs from Bug Lore. It was a wonderful experience for the kids. The whole frog life cycle playing out before their eyes. We ended up with 6 adult frogs. Love these ideas! Plan to use them for a homeschool co-op 4-5s class I am teaching. Can you tell me where you found the red blowers that are sturdy enough to use for this activity? Thank you! I think I got them at The Dollar Store, but I’m not 100% sure! I found some! Shockingly, Party City did not have any (they were all very decorated.) After buying them from “Dollar Tree,” I had to take off the balloon theme decoration, and then they were plain enough. Ran it by my daughter (as a prep for the class), and she loved it. Thanks again for this great idea!